Marco Contreras proposed to Cristina Tecanhuehue around 9 p.m. on June 25. She said yes, and they were married the following afternoon in a small, intimate ceremony. It was a bittersweet moment for a young couple that had been dating for two years. 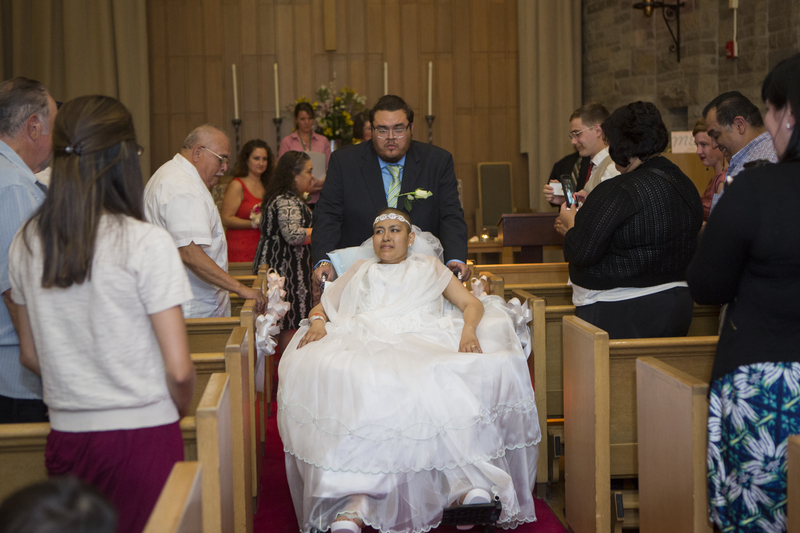 Their wedding and all the preparations — even Contreras’ proposal — took place at Rush University Medical Center, where Tecanhuehue was being treated for cervical cancer. On July 1, five days after the ceremony, the 28-year-old Tecanhuehue passed away. Her new husband was at her bedside, holding her hand. “We had the wedding to comfort her and give her some closure and to give us some closure,” says Tecanhuehue’s uncle, Javier Torres. The staff of the Rush oncology unit where Tecanhuehue had been receiving care rallied to help the couple prepare for the wedding and celebrate afterwards in the unit. They even helped Contreras pull off his surprise wedding proposal. He gave Agnes Glowik, RN, a staff nurse on the unit, the engagement ring so she could bring it into Tecanhuehue’s room in a cup containing her medications. When Techanhuehue stirred the pills with her finger, the way she always did, she discovered the ring, and Contreras knelt at her bedside, asking her to marry him. The next day, members of the unit staff brought gifts and flowers and helped Tecanhuehue dress in the wedding gown her family had bought for her. The staff decorated the unit’s conference room for the reception, and provided a wedding cake for the couple. The Rev. Deanna Drake, a Rush chaplain who had been ministering to Tecanhuehue and her family, officiated the ceremony. “It was an all hands on deck kind of thing,” says Drake, who began planning the wedding with the family before Contreras even proposed. She worked with family members to choose scripture passages and readers, and helped them set up the chapel, located on the ground floor of Rush’s Kellogg Building, which houses the oncology unit. It was the second wedding held in the Rush chapel in the past year. In December, Rush staff made it possible for a woman to get married so her dying father, a hematology unit patient, could attend the ceremony.